Tim Pope announces he will collaborate with Robert Smith on a documentary on the iconic band. The Cure have confirmed that they will be not only playing a huge London show to mark their 40th anniversary in 2018… but there will also be a major, exhaustive documentary on the band’s history. He continued: “Robert himself will tell the story and this will work alongside other events for the band’s 40-year celebration. 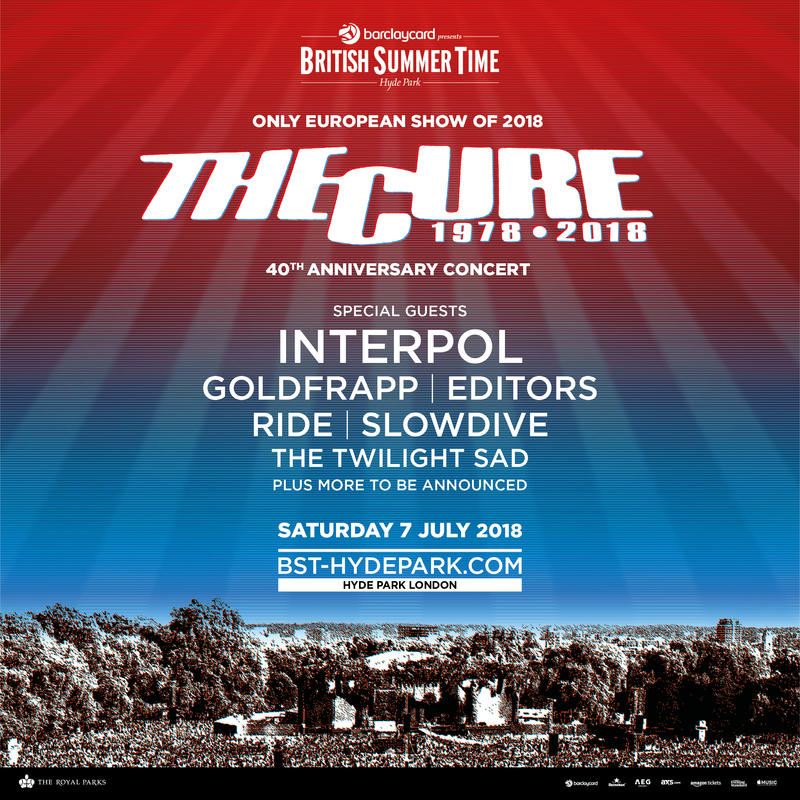 This week, The Cure announced that they would be headlining British Summertime Hyde Park on 7 July 2018, as a special one-off 40th anniversary show. The bill also includes Interpol, Goldfrapp, Editors, Ride and more. Tickets go onsale at 9am on Friday 15 December.